The 5127 MINI CK from Omnikey is a USB contactless smartcard reader that supports low and high frequency card technologies, as well as HID Mobile Access (NFC/Bluetooth) providing a useful integration path for environments using a mixed range of credentials. Conforming to ISO 14443 A/B and ISO 15693 and also supporting 125Khz Prox, as well as innovative HID Mobile Access (over NFC/BLE) the Omnikey 5127 CK MINI is a platform independent reader that functions in many different environments, thanks to its support for both CCID and keyboard emulation functionality. 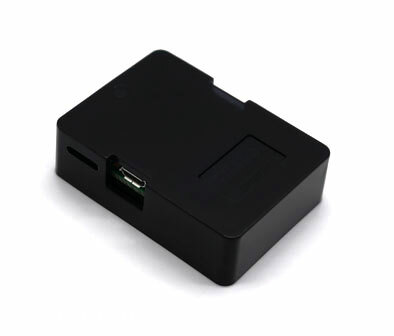 The 5127 CK MINI reader operates by default as a CCID smartcard reader, but by switching to the optional �keyboard wedge� mode, card data can be retrieved and inserted directly into applications, or sent to other devices, using keystroke emulation. The Omnikey 5127 CK MINI includes an easy-to-use web-based management tool that enables intuitive browser-based configuration. Dedicated drivers and a configuration guide are available for download, while additional developer tools are available from HID. Housed in a highly compact outer case, this reader provides support for a wide range of credential technologies in one device. It features a dual-colour LED status indicator, programmable buzzer and Micro-USB port (no USB cable is supplied with this reader - any standard micro-USB cable will work). The case can be removed for integrated/OEM applications - please contact us for information and availability on the OEM PCB-only version, which is available for larger projects.